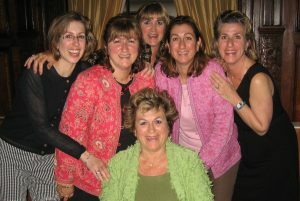 Since 1988, The Arpiarian Sisters — the family behind Metropolitan Home Health Services, Inc. (MHHS) — have provided care for the elderly and disabled throughout eastern Massachusetts, earning a reputation for excellent service, honesty, and dependability. The idea of forming a home health care agency came when the sisters (two are RN’s) were caring for their grandmother in 1985. “This type of care was just getting started back then and it was a profound experience for our whole family, but for our grandmother we needed 24 hour round the clock care”, said Yvonne Arpiarian RN, Director of MHHS. With the idea that there were most likely many more patients and families that needed help, Metropolitan was born. Today our agency serves more than 30 communities and provides an array of services including nursing, certified home health aides, companions, homemaking and 24-hour respite care. What sets us apart from the competition is our hands-on, family-run operation. We understand how difficult it can be to care for a loved one and the toll it takes on the client and the caregivers trying to help. Treat each and every client the way we would want to be treated ourselves. We help them safely stay with dignity and independence in their own homes as long as possible, knowing that homecare is often the best care for maintaining health and happiness.